Chaitra Sukla Paksha Padyami is celebrated as Ugadi. Ugadi is the First day of the waxing phase of the moon in the month of Chaitram as per Telugu calendar. 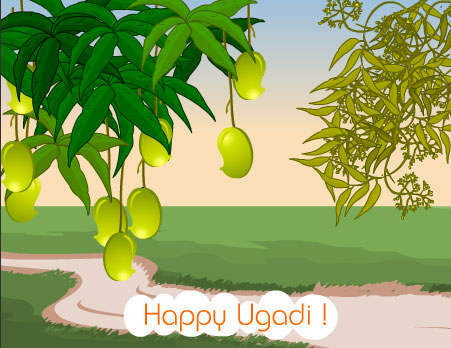 Ugadi is celebrated on Saturday, 3rd April, 2049. Ugadi signfies the start of the Telugu Year and hence known as the Telug new year. Ugadi is also celebrated with different names in different parts of the country like Thappan in Rajasthan, Gudi Padwa in Maharashtra, Cheti Chand in Sind etc. 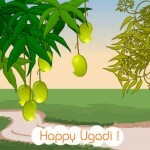 In Andhra Pradesh Ugadi is celebrated with lot of enthusiasm. The ritual of Ugadi is to eat the Ugadi Pacchadi or Ugadi Pickle even before drinking or eating anything. The Ugadi Pacchadi is prepared using six different tastes, each state signifying each mood. The following is the list of the different ingredients used and their significance. All the above are mixed and Ugadi Pacchadi is prepared and consumed by every one. After eating the Ugadi Pacchadi, reading the Panchang to know what is in store in this year is a common practice. Bobatlu or Polelu are prepared and distributed on Ugadi. Children would seek blessing of elders for a happy and prosperous year.